Justice Alton Thomas Davis was appointed to the Michigan Supreme Court on August 26, 2010, by Governor Jennifer M. Granholm. Justice Davis is a graduate of the Detroit College of Law, Western Michigan University, North Central Michigan College, and Inland Lakes High School. He began his law career in private practice, during which time he also served for four years as Chief Assistant Prosecuting Attorney and then as Prosecuting Attorney in Crawford County. Justice Davis served as Chief Judge of the 46th Judicial Circuit Court of Michigan, which encompasses Otsego, Crawford, and Kalkaska Counties. He served as chief judge for 17 of his 21 years on the 46th Judicial Circuit Court. As chief judge, he oversaw the 46th Circuit’s Trial Court Demonstration Project from June 1996 to July 2005. Justice Davis subsequently served as a judge on the Michigan Court of Appeals, to which he was appointed by Governor Granholm on July 14, 2005. He was elected to the Court of Appeals in 2006 and again in 2008. 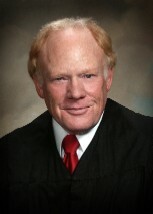 Justice Davis had served as a visiting judge on the Court of Appeals on several different occasions from 1985 to 1996. A member of the State Bar of Michigan since November 1974, Justice Davis has been involved in numerous professional activities, including serving as chairman of the State Bar’s Committee on Criminal Jury Instructions. He has served as chairman of the Michigan Joint Judicial Conference and has been a member of the Chief Justice’s Council of Chief Judges. He is a past president of the Michigan Judges Association (MJA) and has served on the MJA executive board since 1995. He also chaired the MJA Legislative Committee and has been a member of the MJA’s Rules Committee. He is a member of the State Bar of Michigan’s Judicial Crossroads Task Force and is chairman of the task force’s Committee on Court Structure and Resources. Justice Davis is a member of the Michigan Supreme Court Collections Committee and has chaired the Michigan Court of Appeals Education Committee. A past president of the 46th Circuit Bar Association, Justice Davis is a member of the Michigan Trial Lawyers Association, the Michigan Association for Justice, the American Judges Association, and the Sigma Nu Phi legal fraternity. He is a board member of the Michigan Judges Retirement Fund by gubernatorial appointment in 2005. Since 2000, he has been a staff participant at the New Judicial College in DuBois, Wyoming, and was an adjunct instructor at Kirtland Community College from 1987 to 1990. Justice Davis’ public and civic activities include serving as a trustee of the Michigan State Building Authority, to which he was appointed by Governor James J. Blanchard. He has also been a trustee of the Inland Lakes High School Educational Foundation. A former member of the Fraternal Order of Elks, Justice Davis is also a former member, former director, and past president of the Crawford County Fair Board. He is a past president and former director of the Rotary International Club in Grayling for 24 years and was a Paul Harris Fellow until his resignation in 2009. He is married to Sandra Kay Shellfish of Detroit. They have two daughters, Brion Colleen Davis Thompson and Colby Galen Davis Chilcote. They have one grandson, Benjamin Henry Thompson. Justice and Mrs. Davis reside in Grayling, Michigan, where he is a member of St. Francis Episcopal Church.